The April 1834 resurrections, whose aftermath inspired the painting Rue Transnonain, le 15 de Avril 1834, cannot be separated from their historical context. In 1830, King Louis Philippe was pushed to the throne by an alliance between the liberal bourgeoisie, the Republicans and the people of Paris. Known as the citizen King, the philosophy of his new regime is best captured by this famous quote: "We will attempt to remain in a juste milieu (the just middle), in an equal distance from the excesses of popular power and the abuses of royal power. " However, it soon become clear that while Philippe's efforts spoke of doing one thing, it secretly served to empower his followers, the bourgeoisie. 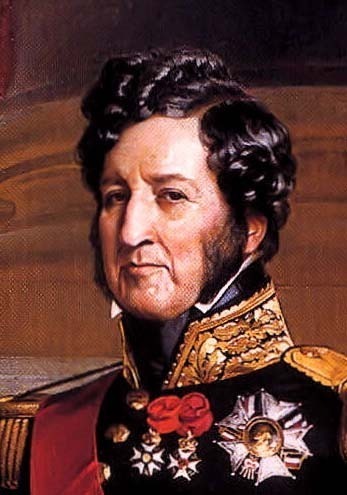 For example, under Philippe the number of people allowed to vote doubled. However, voting rights were only extended from the very wealthy to the slightly less wealthy. So what appeared to be a step in the right direction towards enfranchisement for all was really only increasing the presence of his allied group, the bourgeoisie's power. Phillipe undermined the power of the citizen's militia by increasing the size and power of his own army. 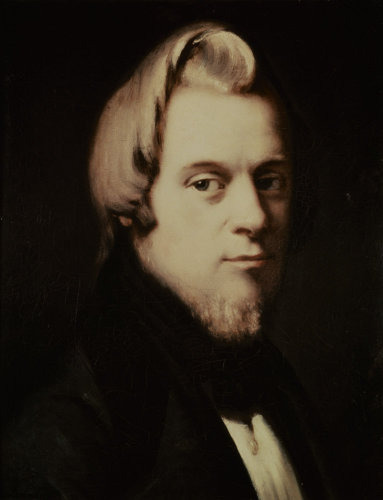 A member of Philipe's cabinet, Casimir Perier, took it upon himself to shut down numerous the labor unions that had formed during the start of the regime. Railway and mining contracts were freely distributed to their bourgeoisie supporters. Worker conditions under these contracts were rather poor with workers given no right to petition for decreased hours or increased pay, among others. The riots of April 1834 resulted in a French police officer being killed and the Police retaliated on April 14th, 1834. This provided the inspiration for Daumier's painting, whose full title is: Rue Transnonain, 1e 15 Avril, 1834. Honore Daumier utilized the same inspiration for Rue Transnonain, le 15 Avril, 1834 that he did for most of his lithographs: the desire to bring social injustice to the attention of the masses. The painting is a poignant allusion to the events that had transpired on April 14th and in many ways, it is a day-after account. The protests in Rue Transnonain on 15 April were part of a wave of protests that had taken place that month. These particular protests were due to the passage of a new law designed to restrict the formation of unions. Although promising to continue the ideals set forth by the French Revolution, the government gave out business contracts to their friends which allowed for exploitative working conditions. This protest was part of a wave later dubbed by historians as "the April 1834 Insurrections. " During the protests, a police officer was shot by a sniper. The police retaliated by massacring men, women and children with abandon. This painting also dealt with the aftermath of a massacre of French civilians. In this case, during the Napoleonic wars, the King of Spain murdered some of Napoleon's troops. To retaliate, Napoleon executed a "token" number of civilians. Rue Transnonain, le 15 de Avril 1834 depicts this tragedy with a realism that is stunningly detailed, but also without bias and commentary, much like Goya's The Third of May 1808. Those who have seen Eugene Delacroix's Liberty Leading the People see the similarities between the dead bodies lying in the right foreground and the dead body placed in the center of Rue Transnonain, le 15 de Avril 1834. 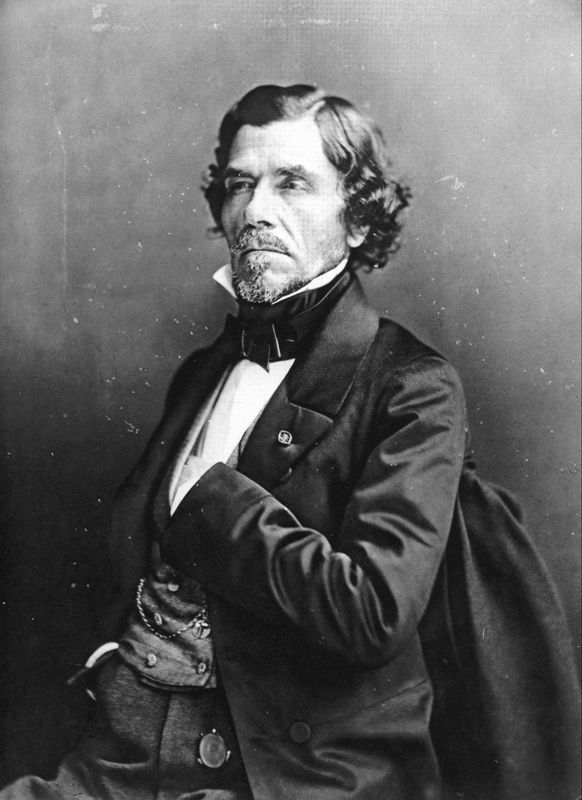 Like Daumier, Delacroix was also French and the two were contemporaries. 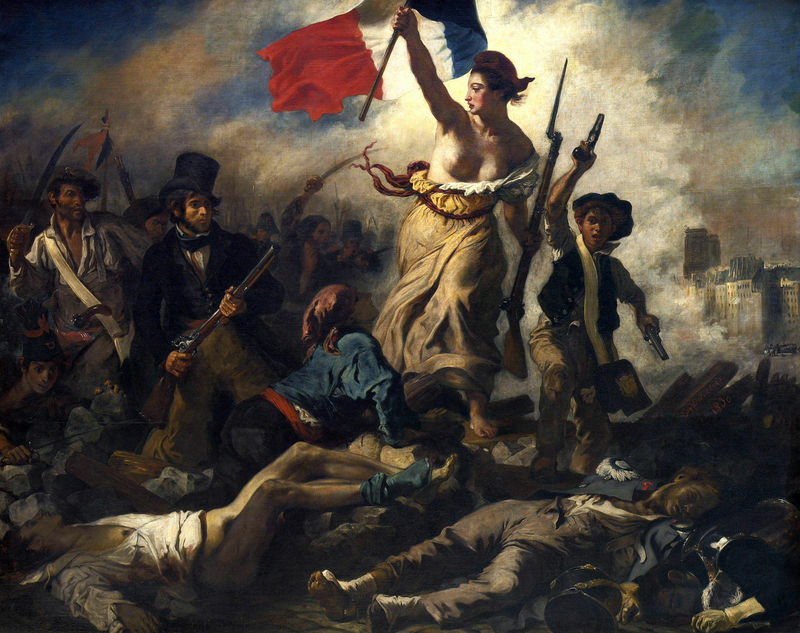 Although Delacroix's painting is of a recent historical event, it commemorates a victory rather than defeat. However, the ideals that drive both men to paint these paintings are the same. Daumier has often been praised for his "economy of means" - his lithographs are often sparse, but potent and in this case, haunting. In Rue Transnonain, le 15 de Avril 1834, Daumier shows that he is more than capable of adopting a serious tone as he lets the haunting aftermath of the police brutality that occurred on April 14th speak for itself. The viewer's gaze is immediately drawn to the center of the painting. We are confronted with what appears to be a straightforward image of a man in nightclothes but then we notice that he is in fact tangled up in the bed linen. Although it is not immediately apparent, the dead man lies atop a dead baby. The foreground is dominated by blank space. It is almost as if the viewer were on the threshold of the room. As horrifying as this scene is, with a dead man lying directly over a baby, one feels more horror at the things that cannot be seen. It is the shadows that draw the viewer in, the stark black that warns of what is underneath the bed, the retreat into shadows of the corner room. This lithograph is distinct from many of Daumier's other lithographs because its calm strokes denote stillness. 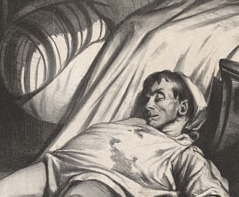 The central figure does not look dead, but almost peacefully at rest, an image reinforced by the fact that the whiteness of the bed sheet covers him as if he were wearing a nightshirt and cap. The longer we stay with the stillness of the painting, the more our mind overreacts to compensate for such a neat, matter-of-fact representation of these horrors. The bed provides the illusion of tranquility where in fact, there is none. Rue Transnonain, le 15 de Avril 1834 bold account of the massacre attracted queues of spectators. Copies were immediately seized by the police. Strict censorship laws were passed shortly thereafter in August 1835. 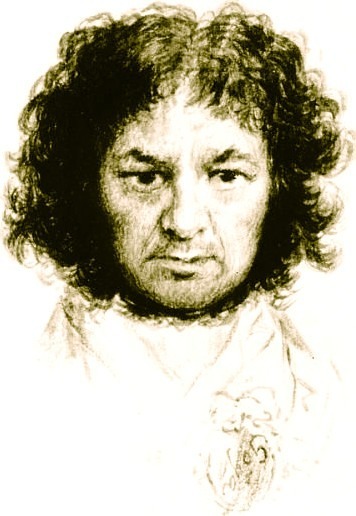 Many scholars think that lithographs such as Rue Transnonain probably hastened the passage of these laws. In any case, the publication in which Rue Transnonain was appeared, La Caricature, was forced to close down because of these laws, although its staff soon opened a new but less biting satire. Rue Transnonain, le 15 de Avril 1834 remains one of Daumier's most famous works, although it is more talked about in history than in art circles. Goya's The Third of May 1808 breaks new ground by not treating the subject of war in a historical or idealized manner. The Third of May 1808 is strikingly blunt in its depiction of war as un-heroic. Its emotionalism is without precedent as it diverges both from the traditions of Christian art and traditional depictions of war. It is widely acknowledged to be one of the first paintings of the modern era. As with Rue Transnonain, 1e 15 Avril, 1834, the picture deals with the brutality displayed towards unarmed citizenry. Furthermore, the evil-doers are not depicted outright but only through the aftermath of their actions (the bodies lying on the floor) and the suffering faces of their soon-to-be victims. A steeple looms in the distance and it contributes to the solemness of the painting without distracting from it. Presumably, it is the barracks used by the French soldiers. This is one of four paintings done by Goya to commemorate the events of May 1808. Delacroix's Liberty Leading the People deals with the same themes of social justice that the other paintings do, but from a triumphant point of view. It commemorates the July Revolution of 1830 that toppled the reign of Charles X and ushered in the July Monarchy which was to have so much influence on Daumier's life. Unlike the other two paintings, this has a joyous, idealized tone in regards to war and Revolution. 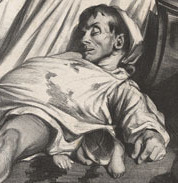 The corpses splayed out in the foreground lead many critics to recall the central composition figure in Daumier's Rue Transnonain, le 15 de Avril. The fighters are a mix of social classes, which is evident in their dress and choice of weapon. This shows that all social classes were willing to join in the fight for liberty. Honore Daumier was considered an unparalleled lithographer whose satires are the forerunners of modern day cartoons. Most of the 4,000 lithographs that he made during his lifetime dealt with more light-hearted themes than Rue Transnonain, 1e 15 Avril, 1834. However, these lithographs were just as provocative. 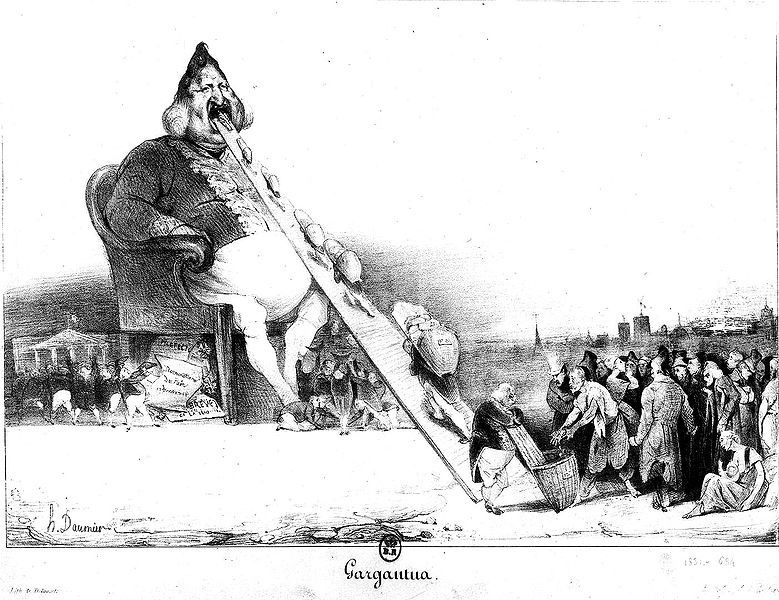 A cartoon featuring the King as the mythological monster Gargantua as he devoured poor people's money on a toilet seat landed Daumier in jail for sixth months. Most of the time, censorship was too tight for Daumier to directly criticize the government and he was forced to turn his impotent wrath on the bourgeoisie. Although a satirist who specialized in infuriating high officials, Honore Daumier let a different side of his personality emerge for Rue Transnonain, 1e 15 Avril, 1834. The full horror of the massacre of innocent citizens in Rue Transnonain on April 14, 1834 is drawn without sensationalism. This lithograph occupies an important place in history as a record of the protests and massacres that took place across France throughout April 1834. It was then that King Louis Philippe's reception for his supposedly progressive regime began to turn. The most horrifying thing of all is when the terrible becomes normal, as it is here. One feels as if they are intruding on the scene. The carnage is presented to the viewer more or less forthrightly, although only one of the victims is fully detailed. However, it is what lurks in the shadows of the painting that is the most disturbing, the open doors on the upper-left corner which invites the viewer to enter, if one dares. 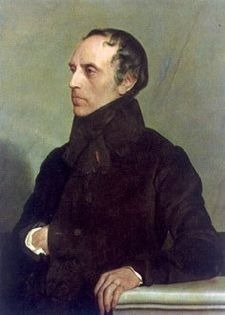 Realism was a reaction against Romanticism. It sought to depict persons and events as way they were and not how they should be. It also focused on the present time period, rather than classical scenes from the Bible or Greco-Roman mythology. Not coincidentally, Realism sprung up at the same as modern-day journalism. Rue Transnonain, 1e 15 Avril, 1834 can be interpreted as a journalism of sorts: it matter of factly records the aftermath of the Rue Transnonain massacre. Man lies atop baby and woman and man lie in their separate corners without commentary, just the facts. Like much of reality, its power lies in that it is a mix of brutality (the bodies), sensitivity (the cloth draped around the central victim) and restraint. To find out more about Daumier and his works, please refer to the recommended reading list and web sources listed below.